Celebrate your Pregnancy with a Marrakech Babymoon. 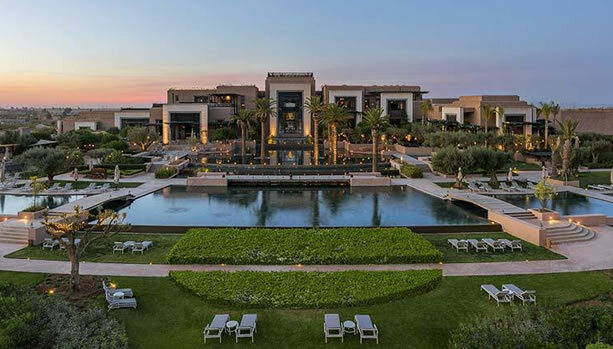 Enjoy those last moments together before your bundle of joy arrives with a five-star babymoon at Fairmont Royal Palm Marrakech. Enjoy your once-in-a-lifetime babymoon at the five-star Fairmont Royal Palm. 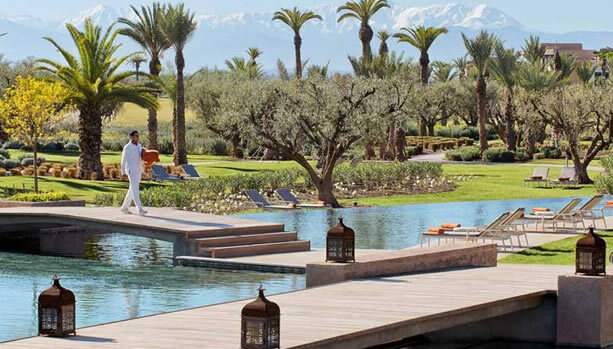 The hotel features opulent guest rooms, suites and villas overlooking the 18-hole Golf Course and the Atlas Mountains. Fairmont Royal Palm is home to six eclectic restaurants and bars offering local and international cuisine, a 2,000 sqm swimming pool, and a 3,500 sqm Spa offering the ultimate pregnant escape and relaxation. 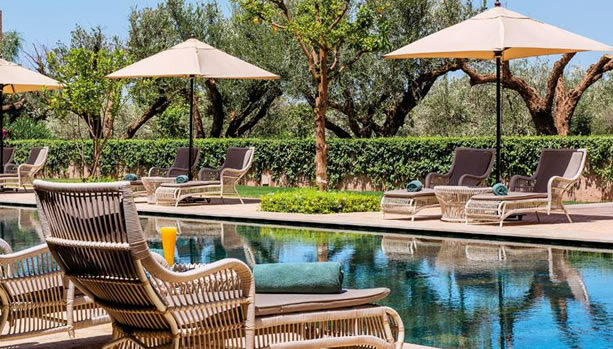 Nestled in a natural landscape of 231 hectares of palm, olive and orange trees, lying in the shadow of the snow-capped peaks of the Atlas Mountains, Fairmont Royal Palm is the ultimate oasis of luxury, style and adventure, located only twenty minutes from the vibrant medina of Marrakech. 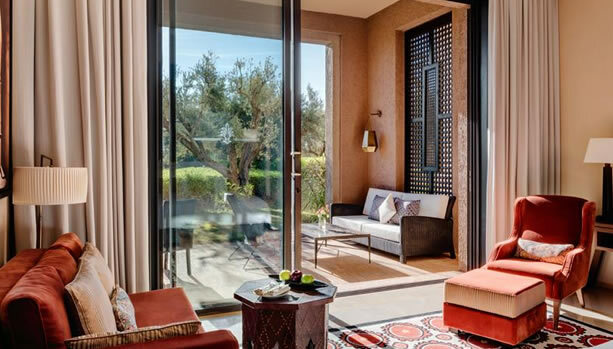 Fairmont Royal Palm prides itself on having the largest first room category in Marrakech, as a result of the emphasis placed on space and light. With living spaces ranging between 72 sqm and 310 sqm, the refined elegance of the rooms and suites will bring you a few steps closer to heavenly bliss. Each one of them features a wonderful terrace that unfolds like a carpet at the foot of the mountains, offering unobstructed and mind-blowing views of either the gardens or the golf course and the Atlas; the ideal spot to take advantage of the first rays of sunlight or the warm summer nights. Providing total privacy, the 10 Princes Villas are 741 sqm in size with 2 bedrooms and ensuite bathrooms, as well as a swimming pool, a landscaped garden and a hammam, making you experience a unique way of travelling. expertise with local flavours to deliver a bespoke experience, undeniably unique for every guest. 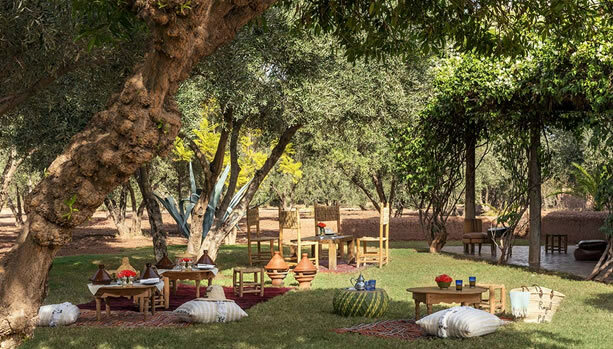 The authentic setting of L’Olivier invites you to enjoy a lunch by the pool and offers a breathtaking view of the Atlas Mountains. For a dish in a stylish and warm atmosphere, emphasise Le Caravane. Experience refined Moroccan food at Al Aïn and enjoy jazzy nights in the lively Bar. Elegantly decorated and offering spectacular views on the golf course, the Sabra restaurant and the Legends’ Bar invite you to enjoy snacks and seasonal dishes as well as savoury and timeless signature cocktails or mocktails for mum-to-be. 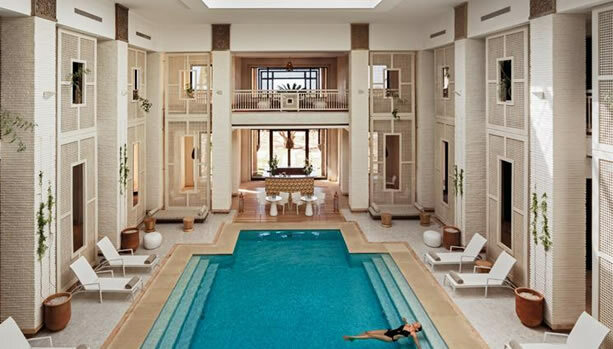 Ready for this unforgettable Marrakech Babymoon Experience at Fairmont Royal Palm Marrakech?